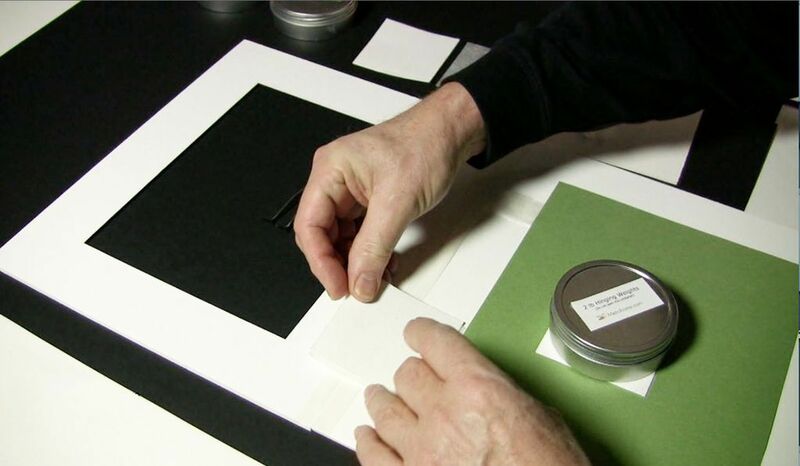 Learn how to attach T-Hinges to fine art works on paper that are matted. 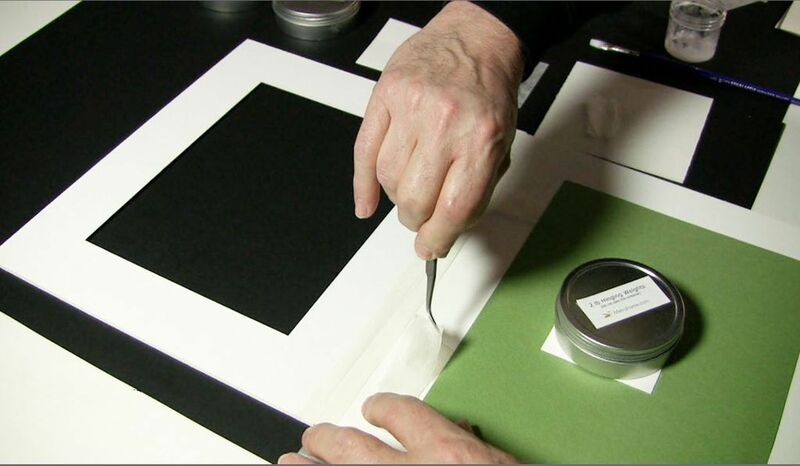 This demonstrates the time honored method used by conservators using wheat paste and Japanese papers. 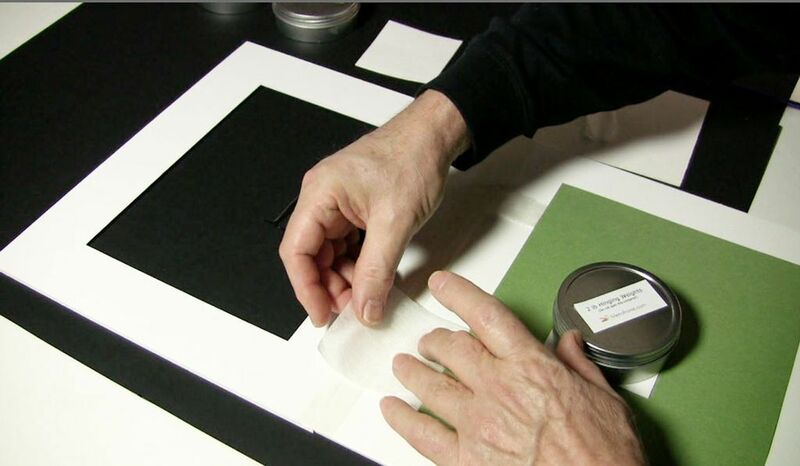 The same techniques are applicable when using archival tapes. Assemble the materials. 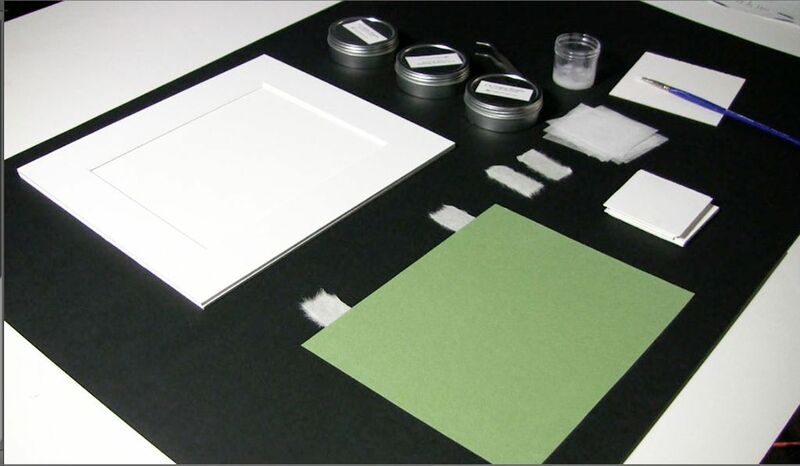 You will need the mat that has been attached to the backing board with linen tape, japanese hinges, wheat paste, a brush, Hollytex hinging separators, blotter papers, & weights. Center the artwork on the backing board of the mat. 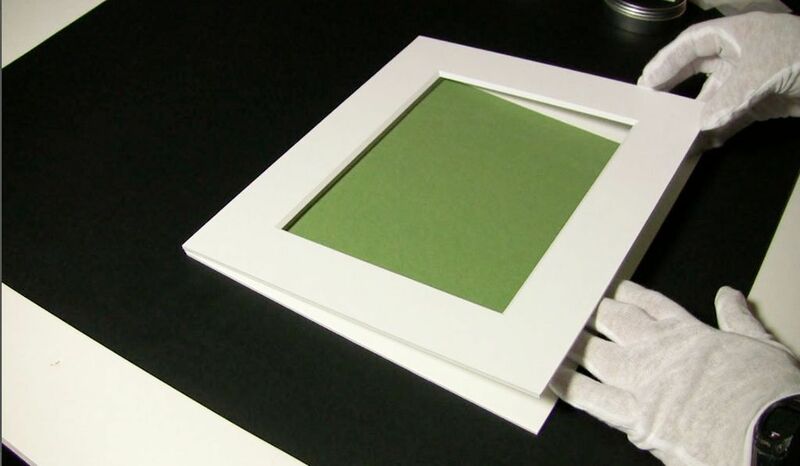 Weight down the artwork so it does not move when you apply the hinges. 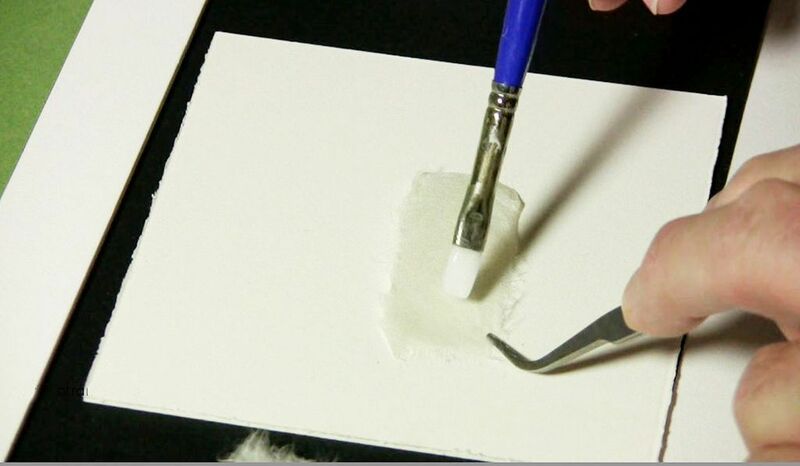 Apply the wheat paste to the hinge. 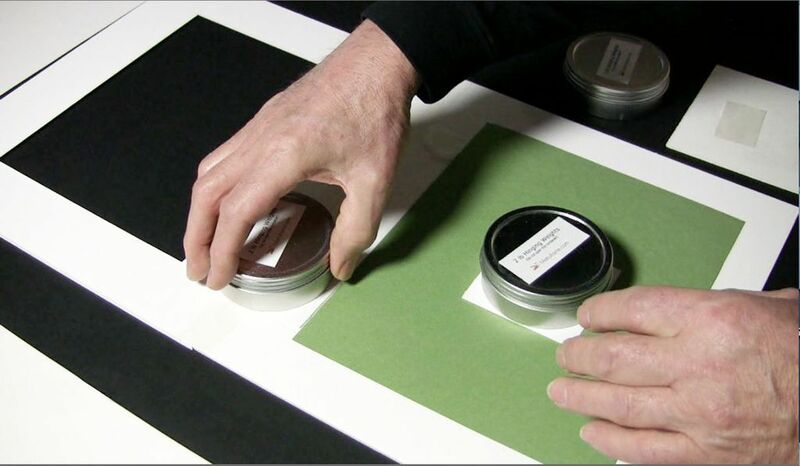 Place the hinge over the hinge that is attached to the back of the artwork making a “T”. Place a separater of Hollytex on the hinge. 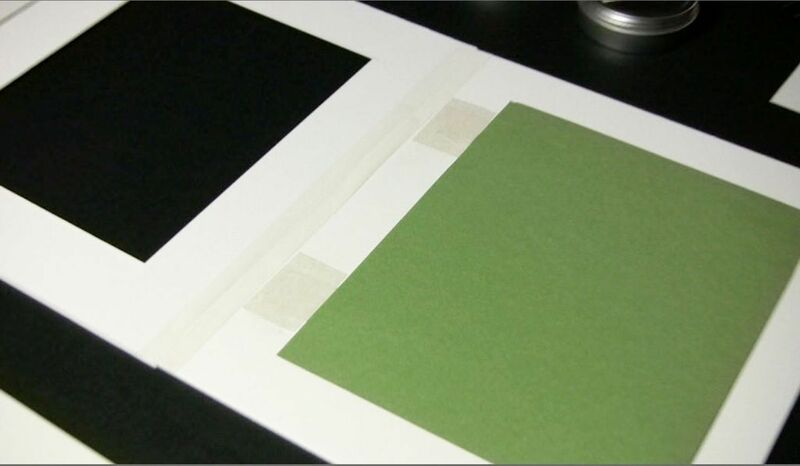 This is made of a non-woven 100% polyester it is excellent for keeping hinging tissue from sticking to the blotter during the drying process by allowing moisture to pass through and be absorbed by the blotter. Place a blotter over the Hollytex separator. 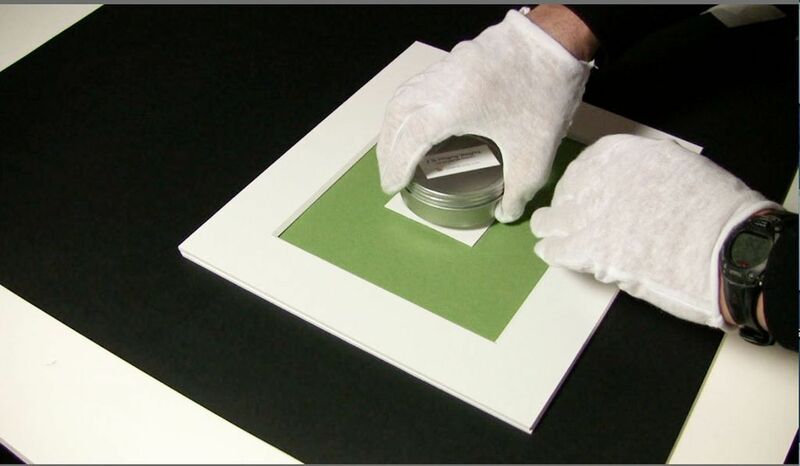 Place a weight over the blotter and repeat the process on the other hinge. Allow an hour to ensure the hinges are completely dry.